Riding your bicycle in Japan is a good way to explore places you normally can’t reach or simply because it’s convenient. 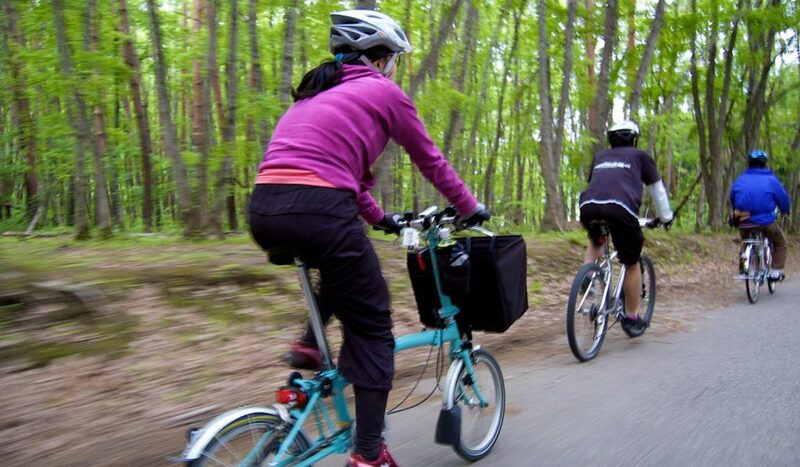 Discover the beautiful countryside or a day at the park by bicycle and enjoy a totally different experience. 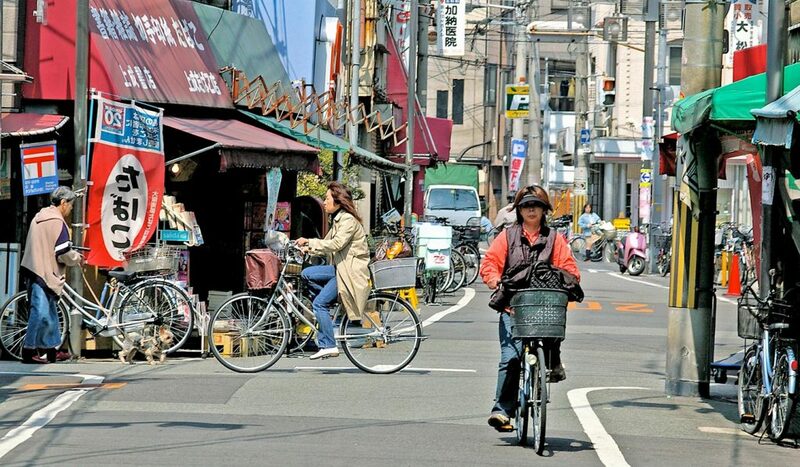 With bicycle rental businesses and cycling tours booming, it’s no surprise that riding a bicycle is popular in Japan. 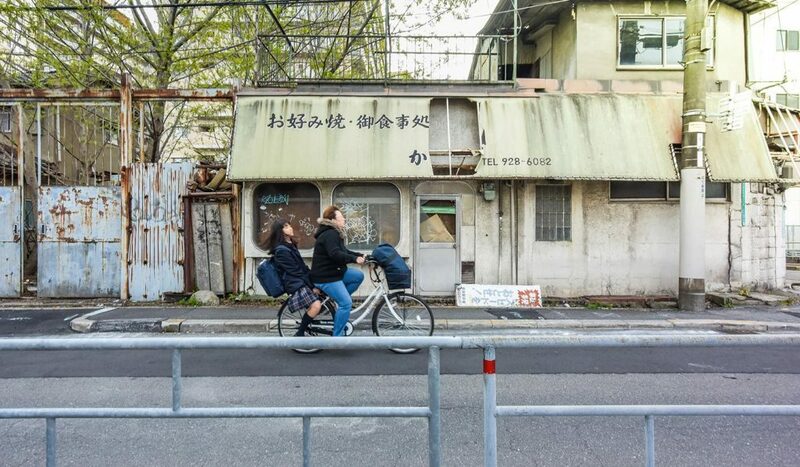 Whether you are in rural Japan or in busy Tokyo, riding your bicycle in Japan might be a bit different from what you are used to back home. Habits that are perfectly fine might be an illegal act over here. Let’s go over the Do’s and Don’ts of cycling in Japan. 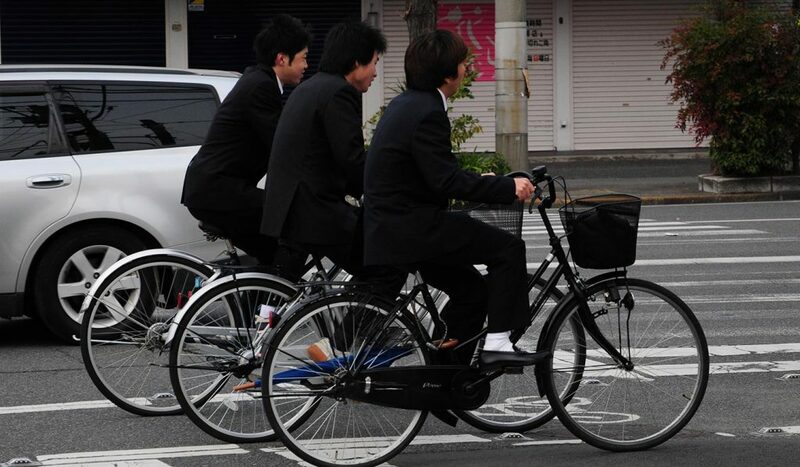 In Japan, cars have to ride on the left side of the road and so do bicycles since they’re considered vehicles as well. If you ride on the wrong side of the road, not only is it dangerous, you also put other oncoming cyclist at risk trying to avoid you. Ride your bicycle on the left side of the road or on designated bicycle lanes. Bicycles are allowed on the sidewalk only if there is a sign indicating this, however keep in mind that if you hit a pedestrian, the one riding a bicycle is always at fault so be careful when riding on the sidewalk. If you ignore riding on the left side and ride your bicycle on the right side against the flow, you’ll face a penalty of maximum 20,000 yen or up to 30 days in prison. Bicycles are often checked to see if they’re not stolen and officers will stand at the side of the road and pull people over for inspection. Bicycles should always be registered or you’ll be suspected of thievery and might potentially lose your bicycle even if you’re the owner. 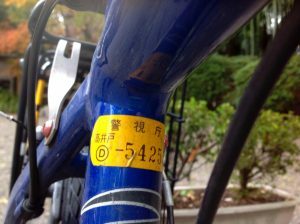 When you buy a new bicycle at the store, you’ll often have the option to have it registered at the prefectural police department. Stores will recommend it though most are obliged to register it for you as part of the purchase. You will be asked to fill out a small form asking for your name, address, bicycle serial number etc. and pay a fee of 500 yen. The salesperson will then register the bicycle for you and place a label with a serial number on your bicycle showing that it has been registered. If you buy a bike in any other way, second-hand or online, you have to go to your local police department yourself, fill out a registration form and pay the registration fee to have it registered. Be sure to check when you buy a second-hand bike that it’s not stolen to begin with. Also, make sure you have your Resident Card or other ID with you when your bicycle is being inspected. Though you are allowed to ride your bicycle on the sidewalk in some places, and you might be tempted to continue riding your bicycle as you near the crosswalk, crossing a pedestrian crosswalk while on your bicycle is not allowed. Since most accidents happen at crossings, you have to stop at the crosswalk, get off your bicycle and walk your bicycle across before getting on again. 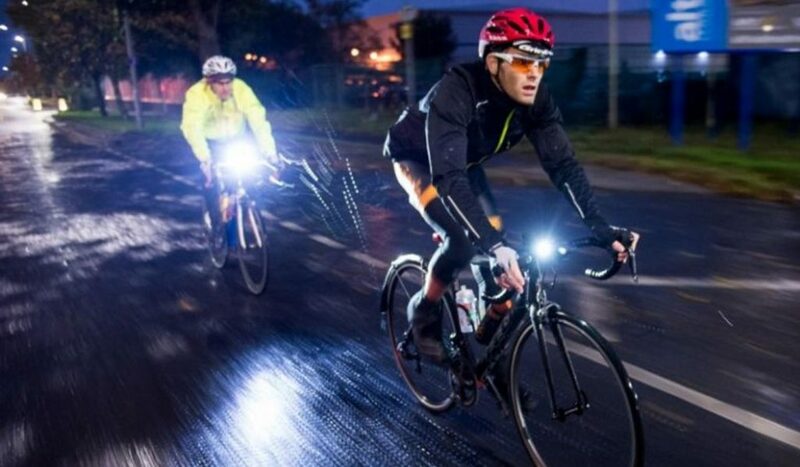 As is common sense, you should turn on your headlamp when riding your bicycle at night. Not only will you be able to see what’s in front of you, people will also see you coming, especially when you are riding on the sidewalk (where it’s allowed). 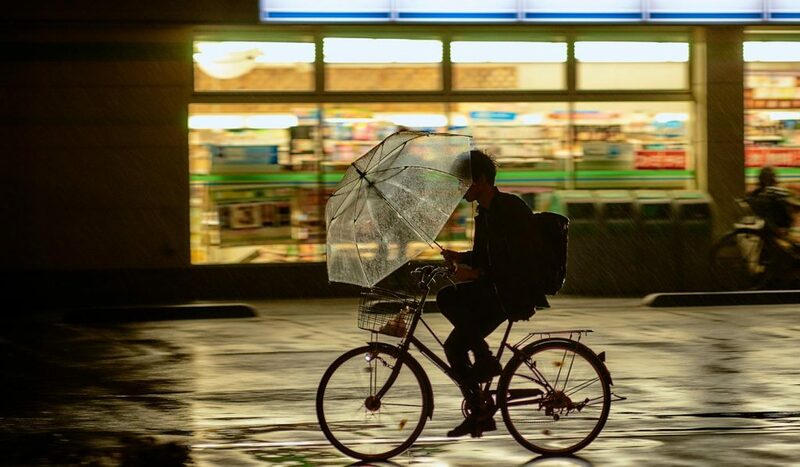 If you think you could just hop on your bicycle and ride over to the nearby convenience store without bothering to turn on your light, know that you’ll might be fined up to a maximum of 50,000 yen. Police officers routinely check for cyclist that break this law a write you a ticket. Also, know that it is also mandatory to have a working bell on your bicycle. Wearing a helmet is not mandatory but still recommended. Because there are few designated lanes for bicycles, you’ll either ride your bicycle on the side of the road or on the sidewalk (if allowed). Because of this, it’s better to protect your head by wearing a helmet. For children under 13 however, it is required to wear a helmet by law. Though you don’t often see people wearing a helmet, it’s good practice by wearing one. And besides, better safe than sorry! 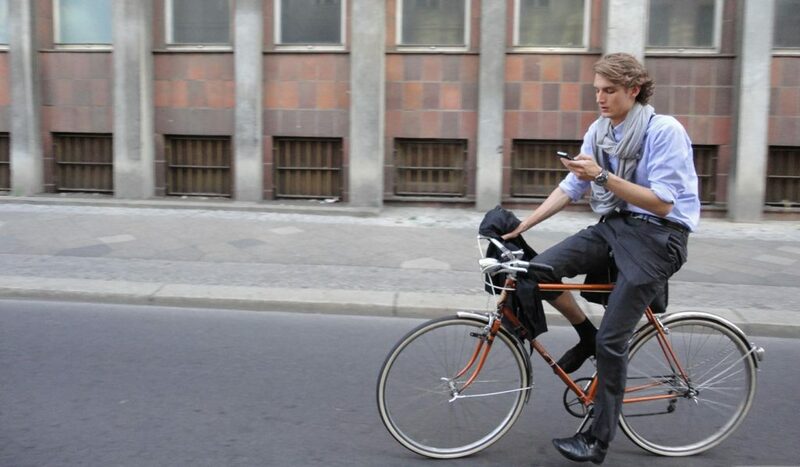 While it’s already dangerous to walk and text, riding your bicycle and using your phone is double (triple!) as dangerous because you not only put yourself at risk but also everybody around you. Don’t try to reply that one message just because you think it doesn’t take a lot of time, it takes only a split second for an accident to happen. If you have to use your phone, pull over and stop and use your phone. If you happen to ride your bicycle and text, or even worse, play a game or watch a movie (really?! ), you’ll face a maximum penalty of 50,000 yen. You’ve probably seen it many times, people riding a bicycle during the rain while holding an umbrella. And yes everybody does it, even the Japanese. While you might be able to perfectly hold your balance having one hand on the handle and the other holding your umbrella shielding you from the rain, by law, it is not allowed. Though it’s true that many officers turn a blind eye, on your unlucky day you might be slapped with a penalty of maximum 50,000 yen (enough to buy a hundred 500-yen-umbrella’s from the 7/11)! 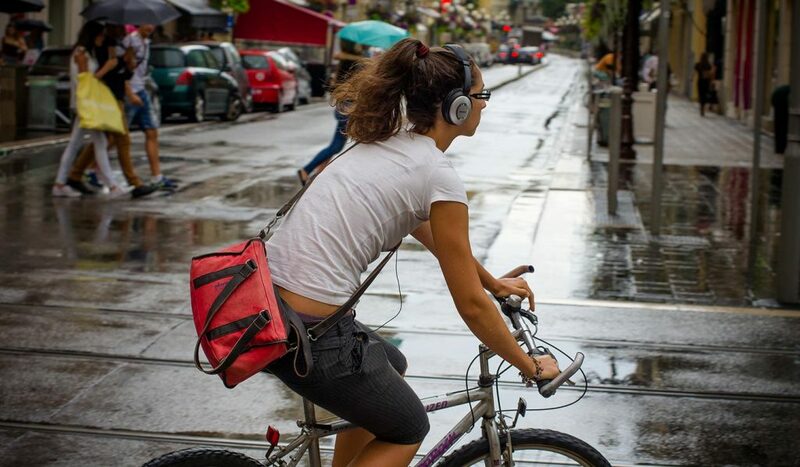 While you are able to enjoy your favorite music driving your car on the highway at 100 km per hour, cyclist are not allowed to wear earphones and listen to music even at slow speed. Since you won’t be able to focus on the road and listen to your surroundings, you put yourself and others around you in direct danger, and therefore it is prohibited by law. So if you are thinking of riding your bicycle in the summer breeze listening to your favorite songs, know that a penalty of maximum 50,000 yen and a warning will be waiting for you. 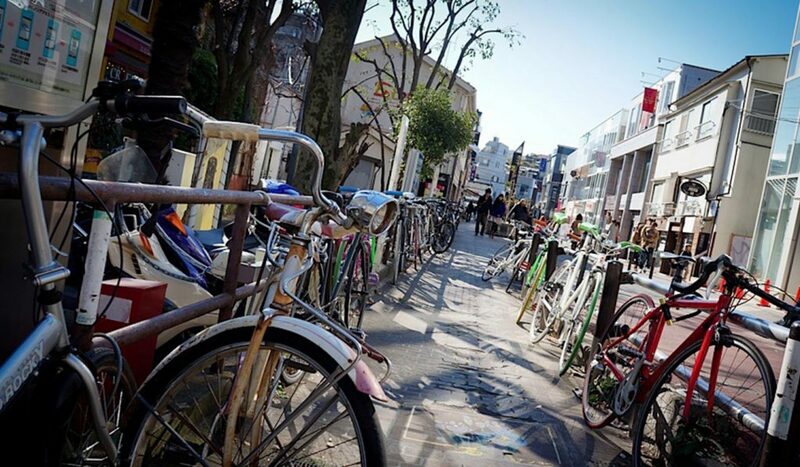 Although you’ll see many bicycles parked at the side of a sidewalk or road, near the front of stores or outside bicycle parking area’s, bicycles in Japan are only allowed to be parked in designated parking areas for bicycles. Don’t worry, as there are plenty of parking spaces near bigger stations, supermarkets, parks, and sightseeing spots. Most of these parking spaces are free of use but some require you to pay a fee after using it for a certain amount of time (e.g. parking spaces with electronic racks). Park anywhere else and you’ll face the risk of a penalty. Bicycles that are parked illegally will get a warning first. A warning sign (usually yellow) will be placed on the bicycle for illegal parking and a date. If you don’t remove your bicycle by this date, your bicycle will be removed and brought to a bicycle depot. To get your bike back you have to visit the bicycle depot, show your ID, sign a declaration form and pay a fee (amount depends on the area). Unless the passenger you are carrying is under the age of six and sitting in a designated child seat strapped up and all, carrying any passenger at the back or in front of you is not allowed. It is not uncommon to see officers lurking around dark corners checking to see who’s giving their friend, lover or grandma a ride and have them pull over. A friendly officer might let you go with a warning, the other one will have you cough up a maximum of 20,000 yen. So you had a fun night out with your salaryman co-workers while having had one to many beers (or shochu’s) and thinking about going home on your bicycle quickly to get some much-needed Z’s. DON’T!! 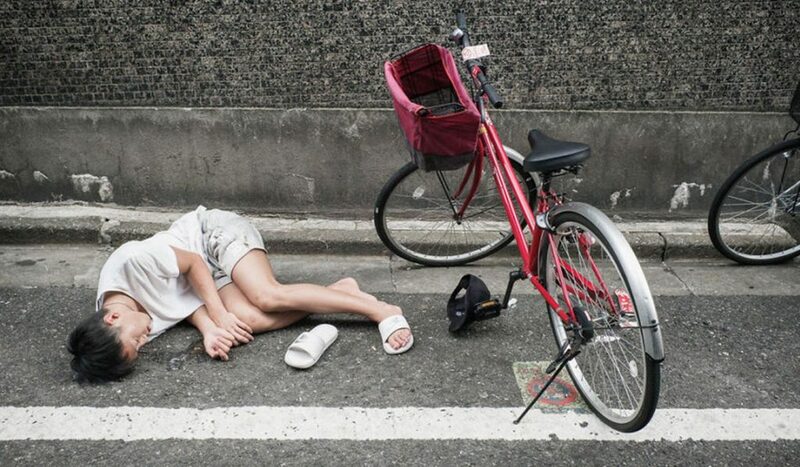 While you think you might be able to handle yourself properly on a bicycle, you’re still under the influence and can potentially put yourself and everyone at risk. By law, riding under the influence of alcohol, or drugs, is one of the worst acts you can commit. If caught, you’ll face a maximum penalty of up to 5 years in prison AND a 1,000,000 yen fine. In worst cases you might even be deported back for riding under influence. So next time you are thinking of riding your bicycle while being tipsy, leave the bicycle and either take the train or take a cab (yes it’s more expensive but still beats 5 years in prison and a 1 million yen penalty). Yes, it’s fun to ride side by side with your best friend or even hold hand with your lover while riding your bicycle, but here in Japan that’s a big no-no (except where allowed). Since there aren’t many bicycle lanes, and the few ones out there are so small it’s often not even wide enough for just one bicycle, you’ll often find yourself cycling on the road or sidewalk. Because of this limited space, two bicycles just can’t fit next to each other. If you do decide to ride side by side, be prepared to confront an angry officer and fork over a maximum of 20,000 yen. Aside from these, illegal acts like ignoring a traffic light or riding at high speed will also put you at risk of facing prison term or a high penalty. 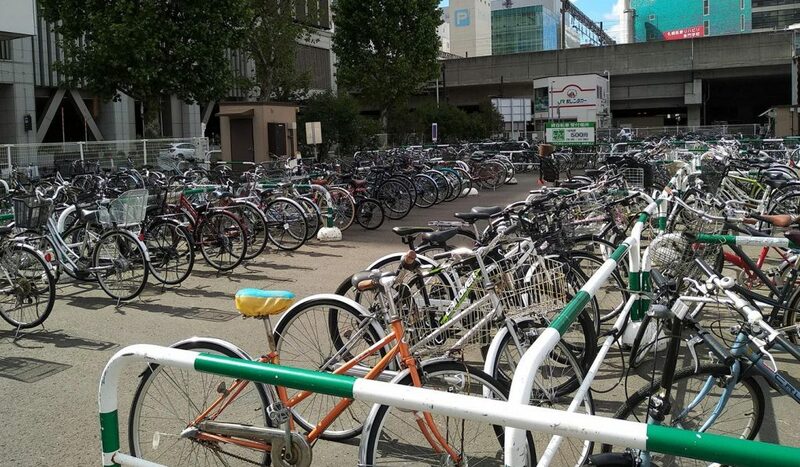 If you break any law twice within three years, you’ll face another penalty of roughly 50,000 yen (varies by area) and forced to take a cycling course. 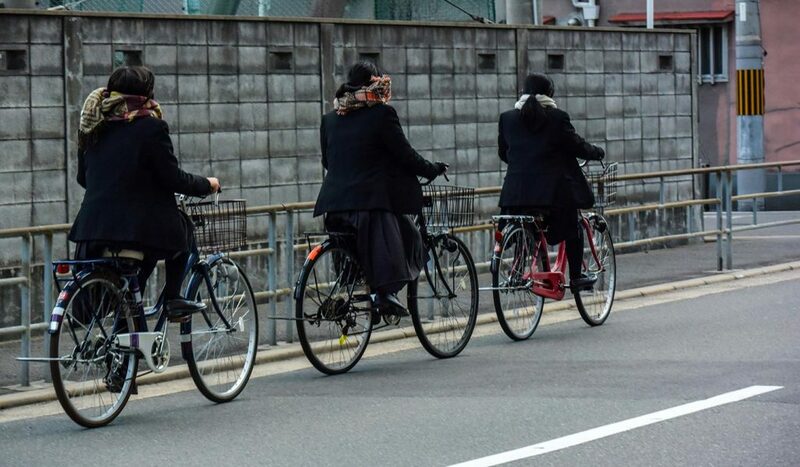 While it may seem that there are a lot of rules regarding riding a bicycle in Japan, don’t let that stop you, with a little common sense and good habitual practice, you should be able to enjoy riding around. Check our articles for more tips about life in Japan. 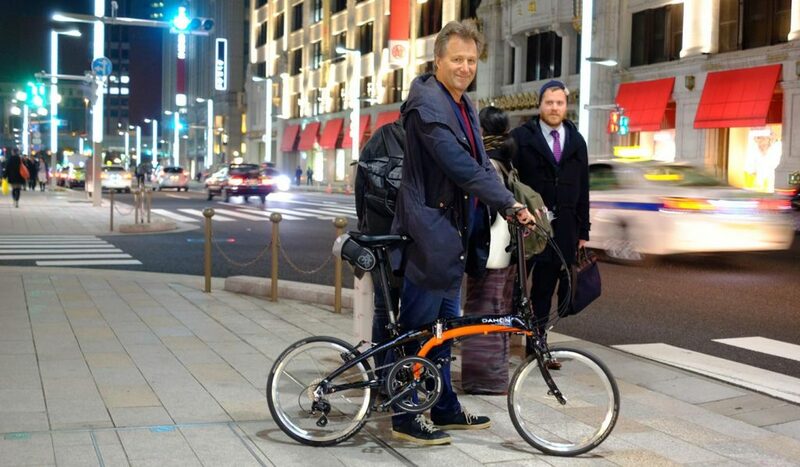 Do you cycle in Japan? Share your experience with us on our Facebook group. Also, don’t forget to follow us on Facebook, Instagram, Twitter, and Pinterest. Stay safe and happy cycling!